Our decisions impact every area of our lives. Making better decisions means living a better life. But how can we develop the habit of making great decisions? Are you feeling stuck? Are your dreams not manifesting? “Introducing the first book in a powerful new series, The Tarcher Master Mind Editions: Essential Books of Inspiration, Instruction, and Motivation. Why attend this 8-week program? 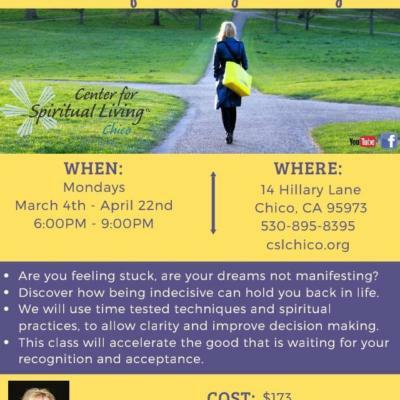 Revered Lisa Carson, a fun and witty staff member at Center for Spiritual Living, Chico – invites you to join this 8-week program. 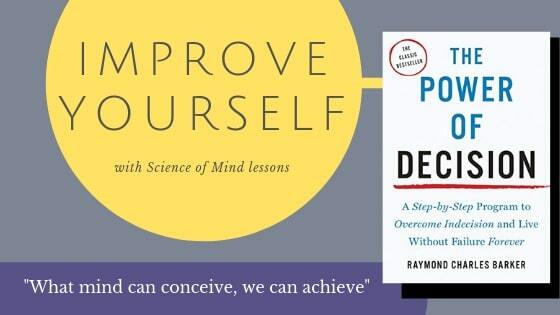 Start our step-by-step guide to overcome indecision with the written work of Raymond Charles Parker, for the class cost of $173 for all 8-weeks. Experience the benefits this program will offer you. A life of improved decision making is waiting for you to reach out and make the first step.